Post your first trophy 0f 2017. Red Faction Single Bullet Theory Kill 25 enemies with the precision rifle. Any other similar WWI games or games during this era? 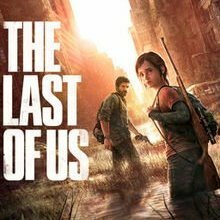 The Last of Us is one of the best games I've ever played. ( probably even my favourite ) I can't wait for The Last of Us: Part 2 !!!! Why i will never platinum this game. Terminator Salvation is easily one of the worst games of all time. I never earned the platinum for this poor excuse of a game too because of how bad it is! Uncharted 4 A Thief's End. 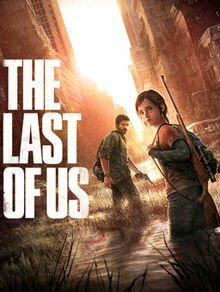 the last of us... good game? 10/10 The best game ever!!! You won't regret buying it! Favourite to least favourite Uncharted games? World Hunter? Good Lord my head and stomach hurt while playing that game. Oh, and did I mention that it is probably the worst game I've ever played! I wont be buying this crap!!!! What delisted PSN games, you wish you can buy right now? What are your fav fighting games? Tekken 3 - (PS1) Tekken 4 - (PS2) also one of my favourite games of all time. Mortal Kombat 9 and Tekken Tag Tournament 2 - (PS3) Mortal Kombat X - (PS4) Will most likely be replaced by Tekken 7 when it comes out! Yes I am a Tekken fanboy! 1. (PS VITA) Resistance :Burning Skies. 2. (PS4) The Wolf Among Us. 3. (PS4) The Order 1886. 4. (PS3) Hannah Montana The Movie: The Game. 5. (PS3) Heavy Fire Afghanistan (Japanese Version).